Influential French New Wave filmmaker Agnès Varda received an honorary Palme d'Or at the 68th Cannes Festival. 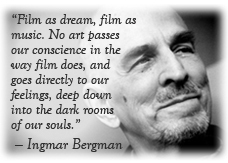 The Palme d'Or award goes to directors whose work achieved a culturally and global impact to world cinema. Her winning followed in the footsteps of such legendary greats Woody Allen, Bernardo Bertolucci and Clint Eastwood. Her career is often associated with the French Nouvelle Vague, but it begun much earlier with 1954's "La Pointe Courte." Varda is a director, screenwriter, photographer and actress, as her masterpiece "Cleo From 5 to 7" (1961) really established her as one of our greatest filmmakers. Varda has also filmed over 30 shorts, documentaries and fiction films for both film and TV, as well as staging various exhibitions on her photography and artwork. 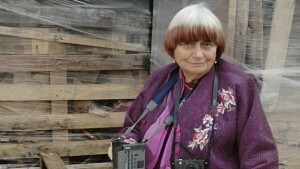 Congratulations to Agnès Varda for her win!